One of the FOCA’s most important goals is to encourage stewardship on the part of every waterfront property owner. Rural lakeside residents have an immediate relationship with their lakes and wild surroundings. Stewardship looks to the future—it protects the natural environment for future generations. FOCA encourages all cottage associations to take part in stewardship. It indicates a willingness to work as partners in ensuring prosperity and environmental health at the lake, and in our communities. Lake Partner Program – a partnership with the Ministry of the Environment. Volunteers collect total phosphorus samples and make monthly water clarity observations on their lakes to help understand the changes in the nutrient status and/or the water clarity of the lake due to the impacts of shoreline development, climate change, and other stresses. Find out more about the Lake Partner Program. Docktalk is a targeted education and action program to lakeside residents to protect shorelines and water quality. Topics include natural shorelines, invasive species, water quality, erosion, septic systems, pollution prevention, and enhancing habitat. Developed with the collective expertise of many previous shoreline projects in Ontario, Docktalk represents an exciting extension of FOCA’s successful Lake Stewards program. Link to Docktalk videos, or contact the office for Docktalk materials. 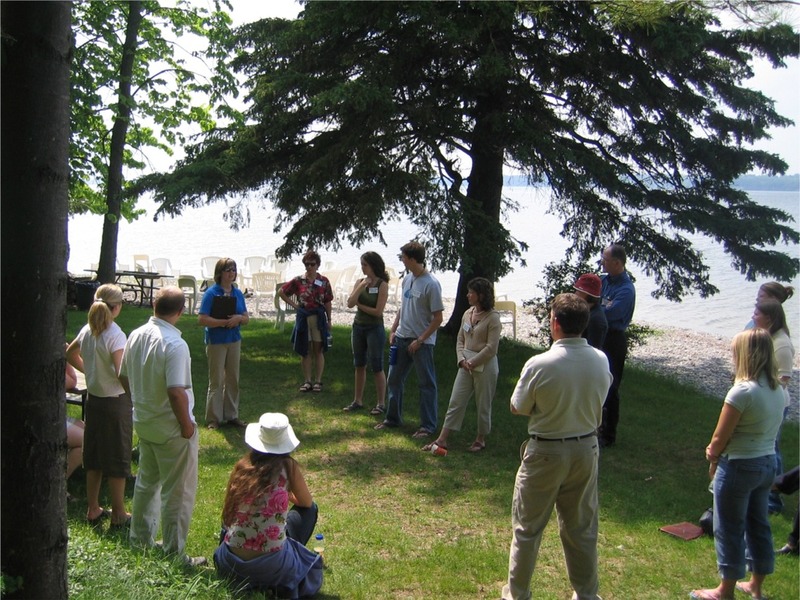 Peer Network – FOCA facilitates stewardship activities in member associations by providing an annual seminar to members, and providing resources such as the annual Lake Stewards Newsletter and guidelines for compiling a lake plan. FOCA provides environmental guidance and assistance to individual property owners and cottagers’ associations. Community involvement takes many forms. FOCA contributes a voice to the work of local and provincial stewardship organizations and government departments, and provides input into the development and review of stewardship-related legislation such as the Clean Water Act. Find out more about our work. Property owners –Individual property owners have a key role in the protection, enhancement, and rehabilitation of the lake environment. Sustainable living practices can be incorporated into the waterfront living experience, while still allowing for the use and enjoyment of your property. Lake association lake stewards – A designated individual who acts as a liaison between cottagers and the lake/cottage association, and community stewardship partners such as the Ministry of Natural Resources; this individual helps to spread the word about environment-related issues, and motivates others to become involved in habitat restoration projects and other community initiatives. Community associations and government – There are many people working to support stewardship in your community.